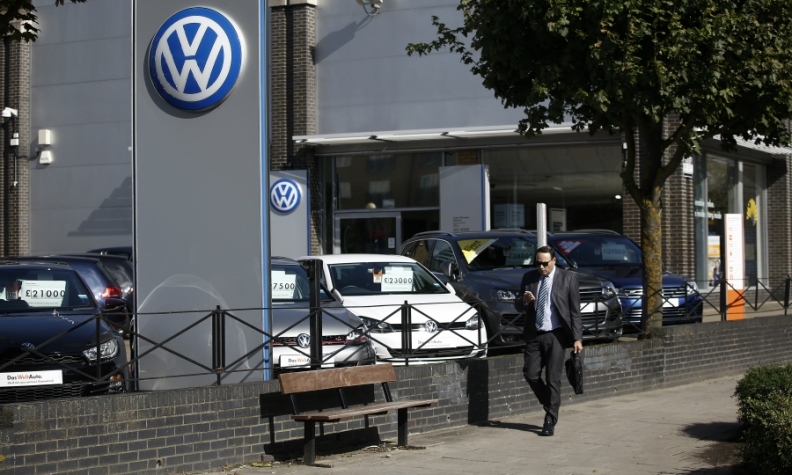 LONDON -- Volkswagen Group could face a UK government investigation over its diesel scandal after British government ministers plan to travel to Germany next month to hold talks with their opposite numbers over the emissions cheating. The UK's junior transport minister, John Hayes, told UK lawmakers on Monday that he and his boss, transport minister Chris Grayling, would be traveling to Germany next month to meet their counterparts and seek more information which could potentially lead to an investigation into VW in Britain. "We will go to Berlin next month to meet the minister to request that we're provided the detailed technical information that will allow us then, if we chose to, to take further steps," Hayes said. Hayes also told lawmakers he will soon meet legal representatives of consumers seeking to take legal action against Volkswagen to see what help the government could give them. The junior transport minister said he was also continuing to press the issue of customer compensation with VW. VW has fixed 470,000 cars out of 1.2 million affected by its diesel-emissions rigging in the UK, the automaker's UK managing director, Paul Willis, told parliament's transport committee separately on Monday. "Out of 1.2 million technical measures which have to be applied, as of today, we have applied 470,000 and at the current rate we are applying these measures to 20,000 cars a week," Willis said. Willis faced difficult questions from UK politicians, some of whom are angry that the company has not been fined in the UK and that motorists have not received compensation, unlike VW owners in the U.S., where the company admitted it had used software to cheat tests on diesel emission levels. In January a British law firm launched legal action seeking thousands of pounds of compensation each for UK drivers affected by the carmaker's emissions scandal, and other firms have since sought to join the move.